Caterina wants to support you in being loud and proud about the value you bring trough speaking and doing your own events. 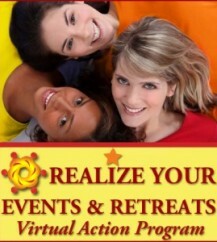 Take a look at her different virtual and live and in-person programs to help you do just that while earning well and expanding your reach. It is time to raise the roof on your revenue ceiling! 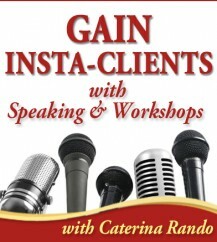 Join women’s business mentor extraordinaire, Caterina Rando for an incredible opportunity to upgrade your mindset, your systems and your actions to catapult your revenue with speaking and workshops. 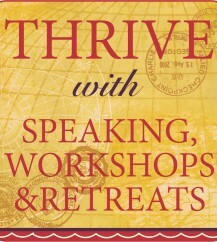 Massively Monetize Your Mastery with your own events and retreats for women. 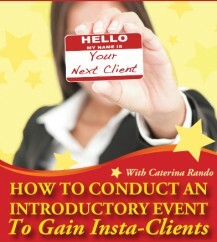 In this virtual group program, Caterina takes you through everything you want to know and more to Plan, produce and profit from events and retreats.